The Regency Bullseye wooden fireplace package comes with everything you need for your period fireplace. Solid fuel package includes: high quality wooden fire surround available in antique wax finish or natural wood ready for painting. 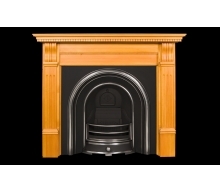 Cast iron arch insert with solid fuel kit, polished black granite hearth for solid fuel use. Gas package includes: high quality wooden fire surround available in antique wax finish or natural wood ready for painting. 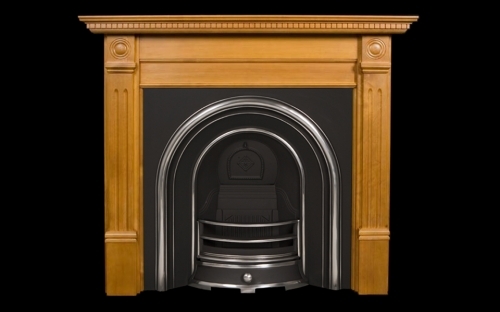 Cast iron arch insert with gas burner & coals, polished black granite hearth and push-in.